A Sure Short Cut . . . This driver became hung up after trying to sneak across the medium. In a sense, he was lucky. 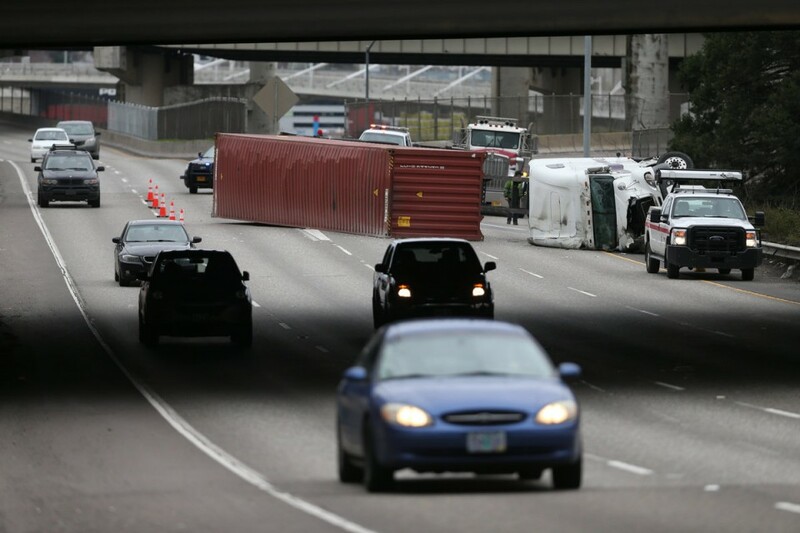 U-turns by tractor-trailers have resulted in a number of serious collisions resulting in injuries and death. 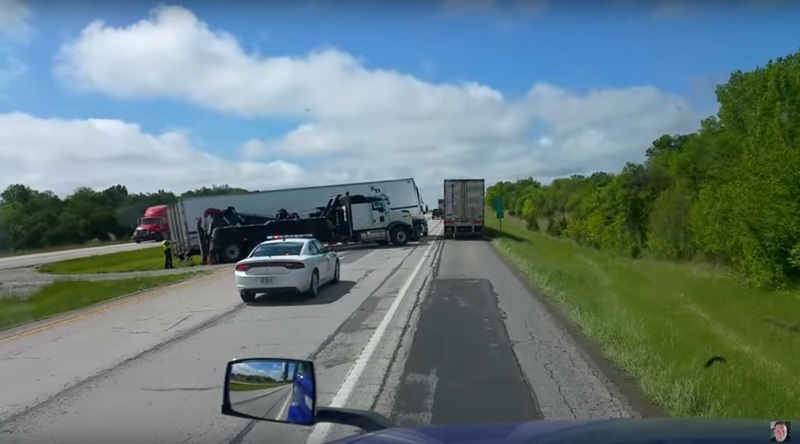 As these type of collisions are considered “gross negligence” by the driver (and carrier), they can also result in large lawsuits against the driver and his employer, and the end of a driver’s career. Here’s the whole story . . .
U-turns are always risky and dangerous. Other drivers will not expect a large vehicle to swing out in their lane, and if moving at high speeds, likely will not have time to respond. 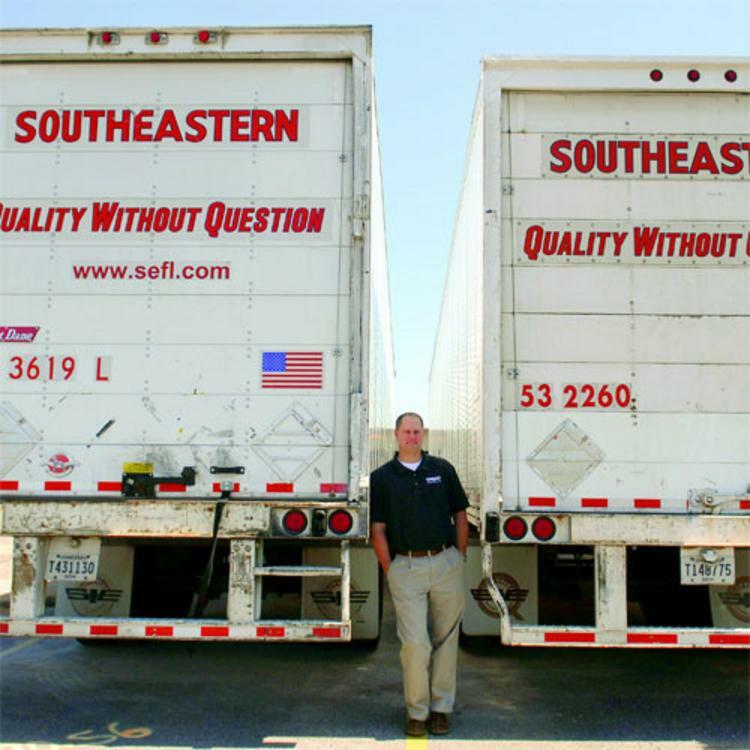 In some cases a large truck can blend in with the background, so they may not even see the vehicle. Never make a U-turn. Period.